I really enjoyed What a Mother Knows for it's unpredictability. The story flowed very well, yet I couldn't figure out what was going to happen next especially the ending which really came from out of nowhere but tied a lot of things together very nicely. The main character definitely had a lot of struggles following her car accident and what I found to be probably very realistic yet very sad was the fact that people around her felt it alright to hide truths from her or to change details about what had happened in her past. Easy to do with someone whose has lost part of their memory and I wonder if it is a natural reaction for others to do that if given the opportunity. The novel was full of suspense, very emotional and well thought out. It really held my interest very deeply and made me long to keep going to find out if Michelle would ever find out what really happened and find her daughter, two things that may or may not be connected and if so, how. 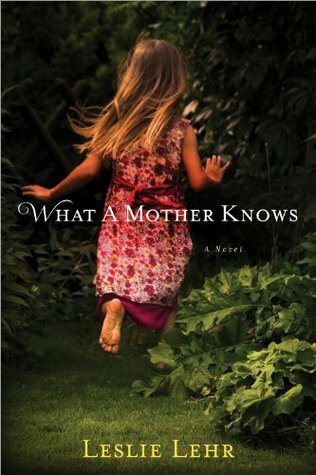 I loved the cover of What a Mother Knows, finding it absolutely gorgeous and I also loved the title, however I don't find that either one represented the contents very well, which seemed a bit darker and nefarious. Despite that little hiccup, I would absolutely recommend this to anyone who likes a good suspenseful plot twisting read.